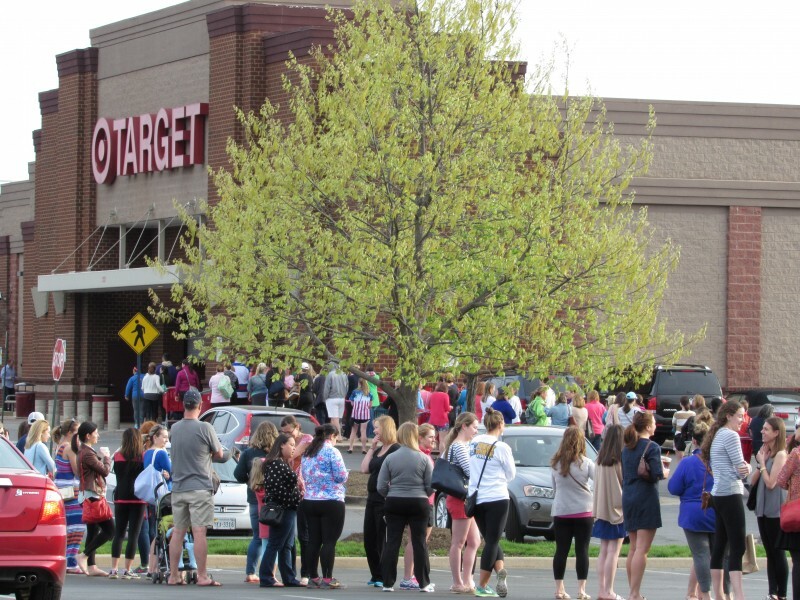 Today was the launch of Lilly Pulitzer for Target… today was also the ‘closing’ of Lilly for Target because they sold up online and store wide. Here are the juicy details of my choatic shopping experience. I have been anticipating this day for quite some time. 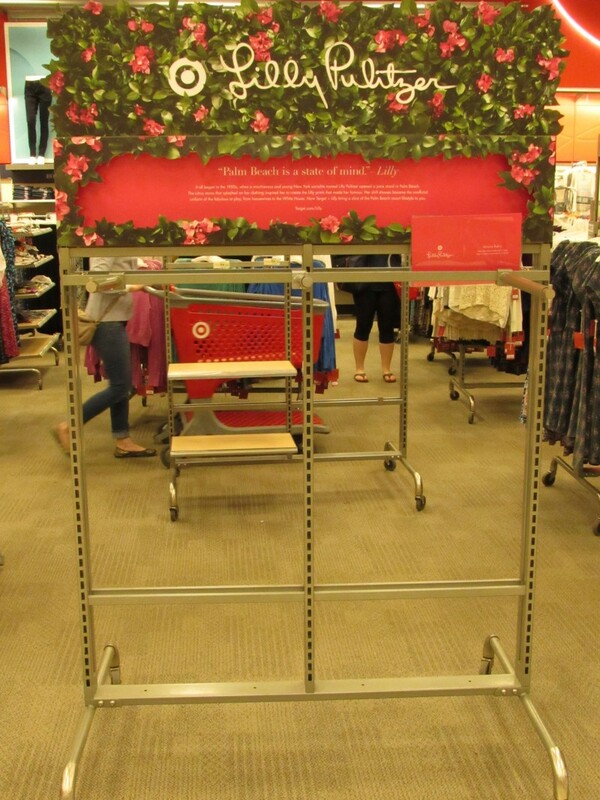 The preppy, pink and green designer, Lilly Pulitzer, was launching a clothing & home decor line at my beloved Target. This collaboration hits close to home, literally. 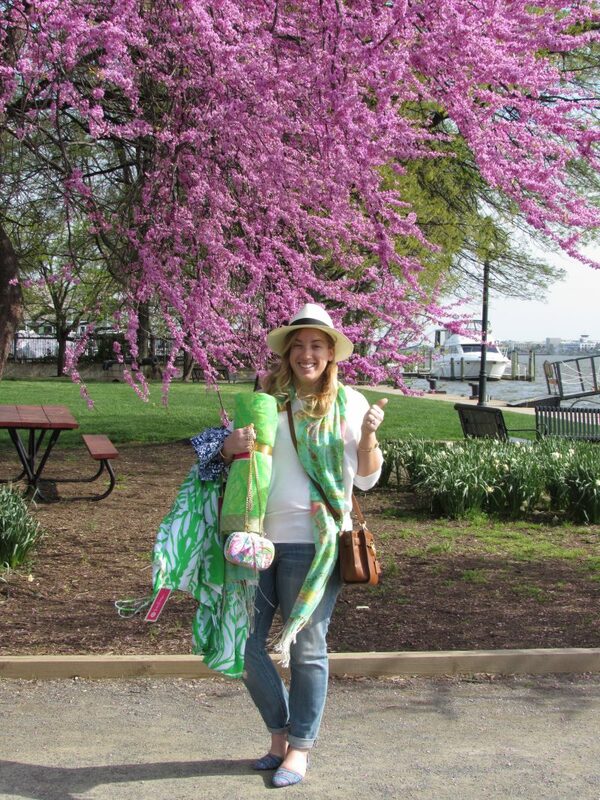 The iconic Lilly Pulitzer begun her successful career in Palm Beach, which just so happens to be where I am from! Nothing says sunny South Florida quite like Lilly and all of her vibrant color clothes. 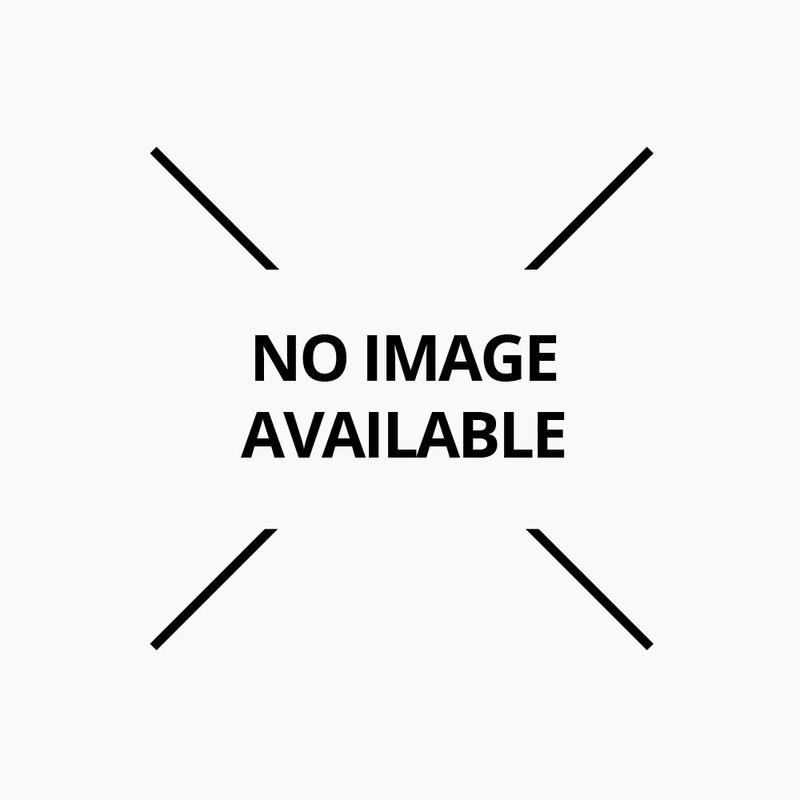 The collection has been available to preview for about a month on Target.com. The preview included a listing of each item, the price, and whether it could be found online, in store, or both. The best part about #LillyforTarget is that it is (was) actually affordable. Needless to say, I had a “A List” and a “B List” of the items I wanted. On my list were some mother’s day gifts too (my mom is the queen of Lilly). There were dozens of fun items, the line featured anything from cups, plates, blankets, and pillows – to – shorts, dresses, rompers, and bathing suits. When the big morning came along, I did not know what to expect! Target opens at 8am on Sunday, which to me is a bit early, so it was throwing me off on what to prepare for. 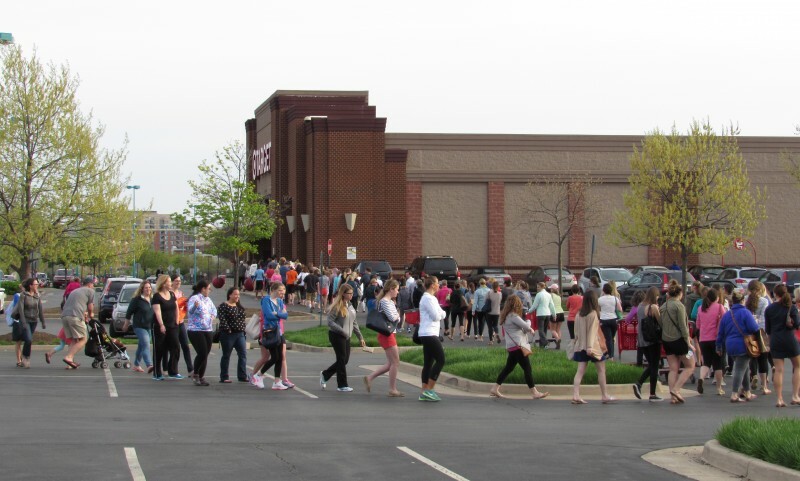 I joked that there would be a huge line wrapped around the building filled with crazed preppy women, and well…. I was correct!! Not ONE thing on the clothing rack!! We ran to the home goods where we found one of the last 3 beach towels still available. My mommy requested a beach towel! You know that scene from Mean Girls, right after Regina turns in the burn book to Principle Duval and the school breaks out into a mad jungle of vicious students… that is pretty much what my Target was like. Each section (beauty, clothes, shoes, home goods) was spread out all over the store, so people were running throughout the entire store. After staring at the empty clothes rack for a few minutes and feeling like a failure, it dawned on me that the customers who had 15+ pieces in their hand may not purchase all of them. I stood outside of the fitting rooms and stalked people who did not want each item they tried on. I got lucky, a girl gave me an adorable pair of shorts she didn’t want and a woman who goes to Pure Barre with me was nice enough to give me the green and white “boom boom” palm jumpsuit that I really wanted!! Let me tell you, it was INSANE, women and girls were trading, bargaining, and arguing over things. It was a bit sad even, people grabbed sizes that were not even close to their own size just to hold on to pieces and try to “trade” them to others for items they wanted. In the end, I am feeling really grateful! Stay tune to see how I style them on my trip to FL next week!! Sorry to overuse to exclamation points and a big thank you to my husband for capturing the mayhem on camera. Did you make it to Target? Did you make it out alive?! Do share your story please! !